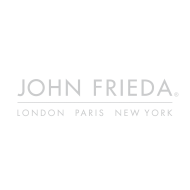 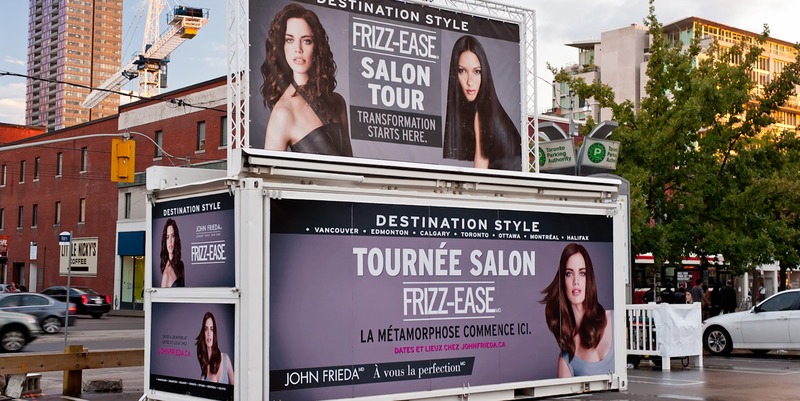 John Frieda decided they wanted a portable hair salon with salon chairs, fully functional hair dryers and flat irons. 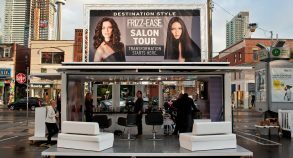 Using one of our Steel Space units, we custom built the interior to accommodate six salon chairs and a front counter to greet customers. 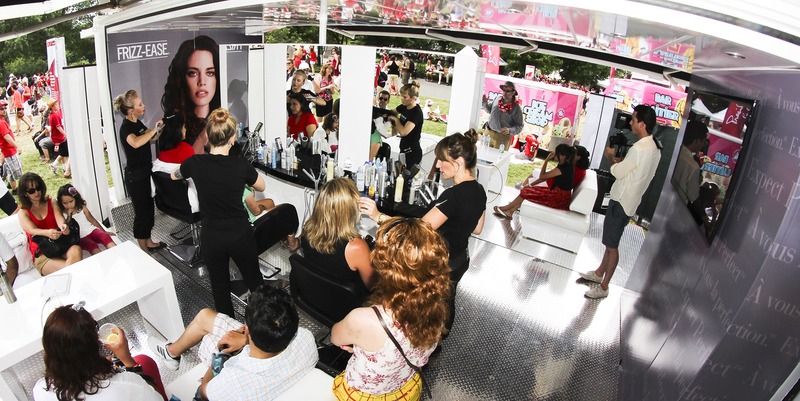 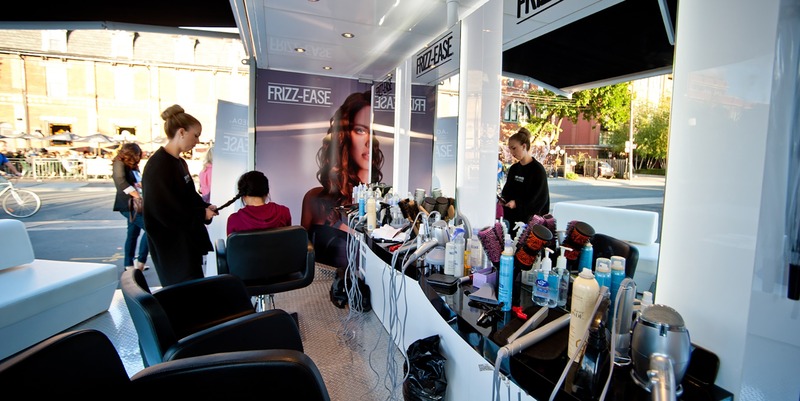 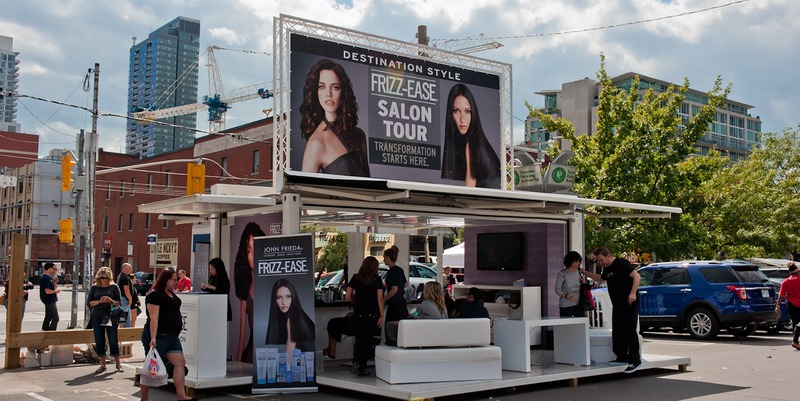 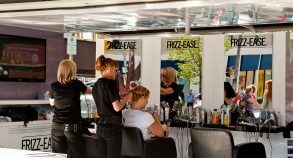 The idea was to go national with a mobile hair salon and promote John Frieda® Frizz-Ease® Hair Care products. 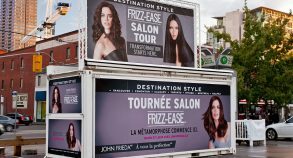 The results were amazing with people not believing what they were seeing. 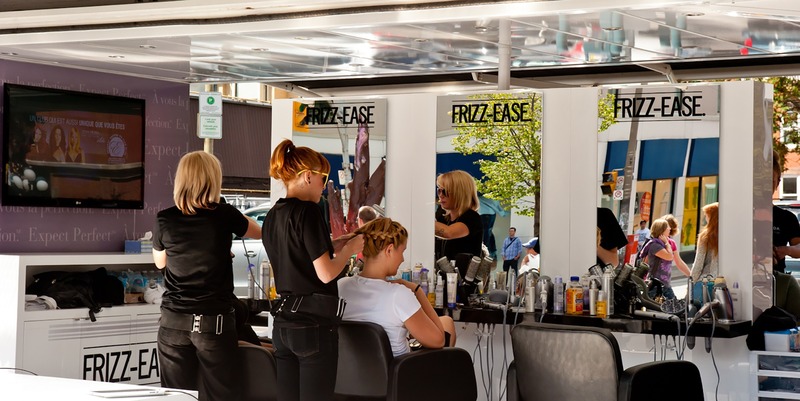 The unit was not only looking and working like a complete and fully functional hair salon with multiple chairs, completed with mirrors, but it was also offering free samples onsite. 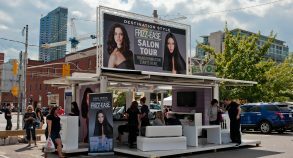 What better way to reach out to customers than offering them complimentary hair touch-up and product samples tailored to their specific hair needs. 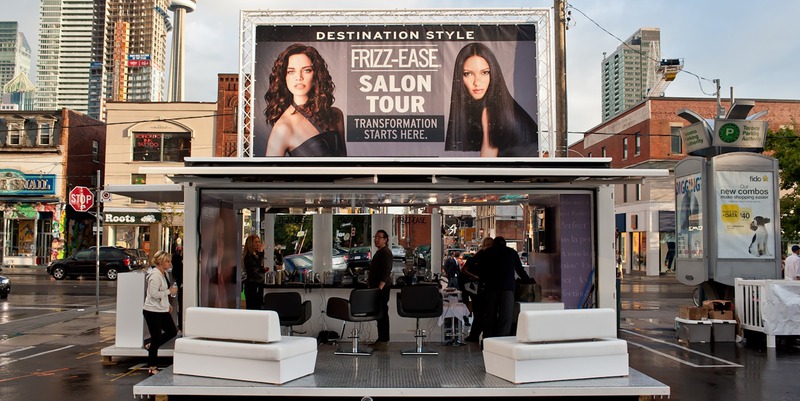 The unit travelled coast to coast offering potential customers with style solutions for that infamous summer frizz.